Zhongshan Thermal Power Company has achieved efficient, clean, low-cost operations by installing a new Siwertell unloader to meet its greatly increased coal demand, resulting from the major expansion of its coal-fired power plant in the Guangdong province of China. Zhongshan, part of the Guangdong GHD Group, approached Siwertell at the end of 2014 to see if it could supply an unloader to meet a predicted 1.8 million-tonne per year increase in coal demand from its enlarged coal-fired power plant in the Guangdong province of China. The company wanted to retire two old grab cranes and replace them with a single Siwertell ship unloader and one small traditional grab crane. It also requested an accelerated delivery schedule, requiring delivery of the unloader’s component parts by August 2015. In addition to the capacity requirements and delivery schedule, Zhongshan also had high expectations with regard to power consumption and environmental performance. 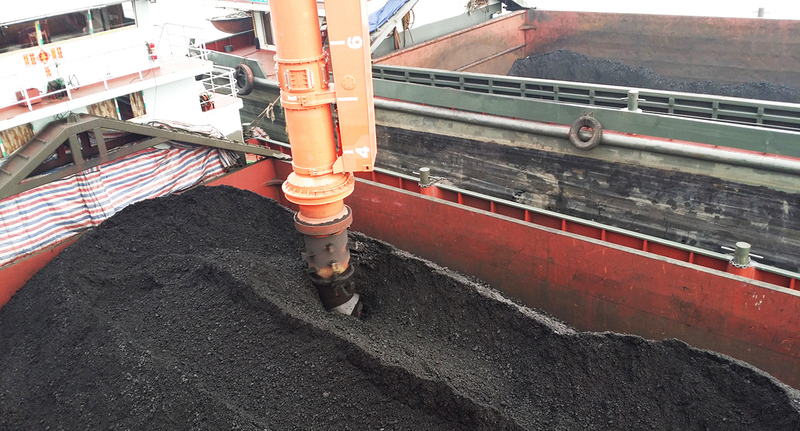 Following a careful assessment of the plant’s requirements, based on vessel size, annual coal demand and the scope of the downstream conveyors, Zhongshan placed an order for a Siwertell 790 D-type unit with a continuous rated capacity of 1,400t/h and a peak capacity of 1,600t/h. The quality and performance of Siwertell’s products and services were key factors in Zhongshan’s decision to opt for a Siwertell unloader. As standard, these important characteristics are backed-up by user-friendly interfaces and totally-enclosed, dust free technology, which is extremely environmentally friendly. The component parts of the unloader were delivered by sea. When the new coal-unloading quay was complete, Siwertell commenced on site assembly. The unloader was tested and handed-over in early April 2016. 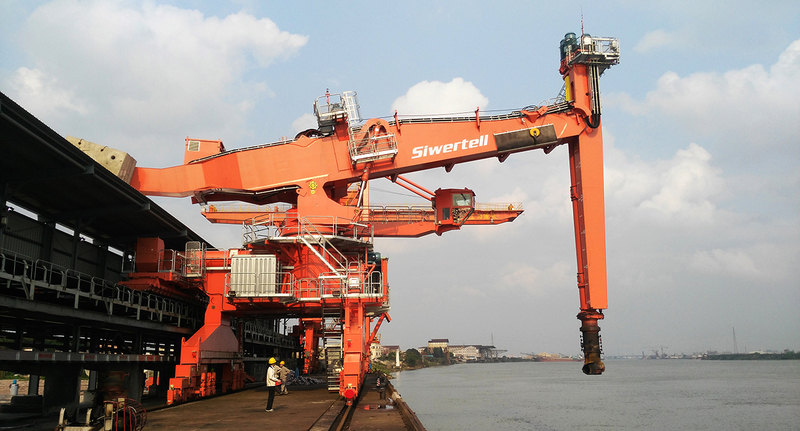 The Siwertell unloader meets all the coal unloading requirements for Zhongshan’s enlarged and modernised power complex. The small 400t/h grab crane is a stand-by machine that can feed material onto the same belt as the Siwertell unit when needed. Performance tests showed that the Siwertell coal unloader consumes nearly 60 percent less power than the contract demands. It averaged a capacity of 1,468t/h over a one hour period, comfortably exceeding the contracted capacity. Its Chinese owner, Zhongshan Thermal Power Company Ltd., is delighted with the results. It demonstrated this statisfaction by presenting Siwertell with two awards; one for the ‘best individual on site’ and the other for ‘best progress management’. Zhongshan Thermal Power Co., Ltd.